Here's another card that I put together last week for my sister-in-law. I will give you some background as to where this card came from! 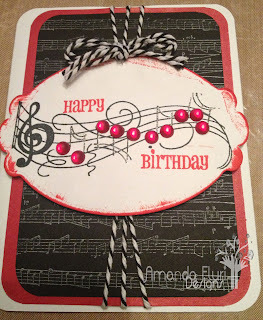 When my sister-in-law and I discussed a card for her father she had mentioned that he loves music and that he is in a singing group. I knew exactly the perfect stamps to use on this card. The main image I had just purchased the week prior at Hobby Lobby in the US and was already anxious to use it. The sheet music which I ended up using for the background was a gift a couple Christmas' ago. Also the die cut is a spellbinder label cutter and I hadn't used it yet, so this was the perfect opportunity. I added little gems to the base of the notes, and added some stardust gel pen to the stems of the notes, and tied it all together with some bakers twine. 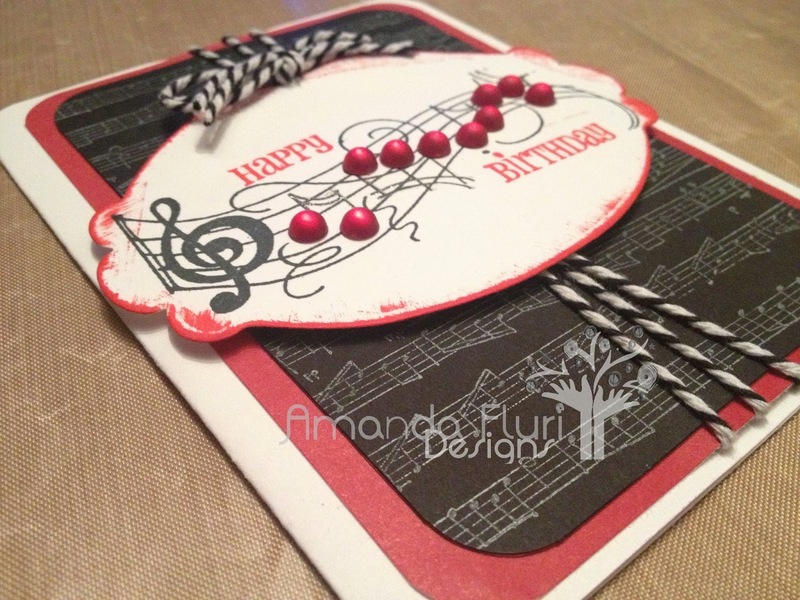 She said that her father loved the card because it expressed his interests, and knowing that it was handmade made was icing on the cake.